Koerner Wine is a partnership between brothers Damon and Jonathan Koerner. 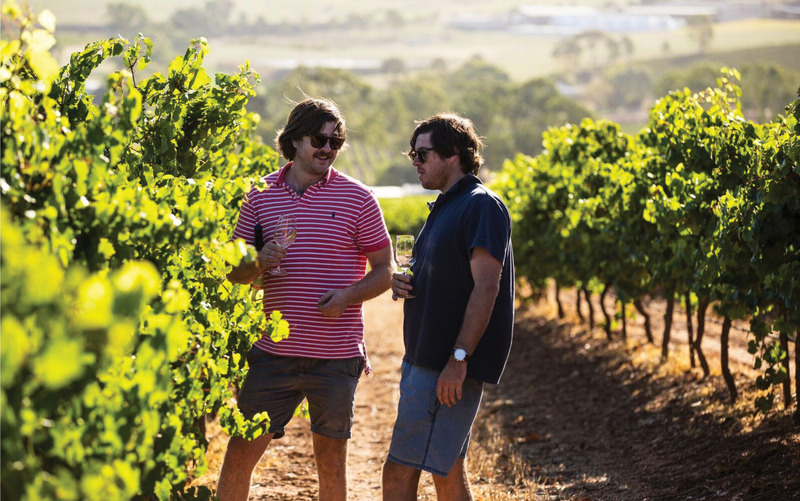 Our wines are produced from fruit grown in the Watervale area of the Clare Valley, with the majority coming from our family vineyard, Gullyview- owned and managed by Mum & Dad, (Christine & Anthony Koerner), for the past 38 years. Our winemaking philosophy is very simple - the wines are made in the vineyard. The date of picking is the most crucial part of the process. Once the grapes make their way to the winery, they are carefully nurtured and each batch treated individually. An understanding of terroir and the individual varieties enables us to produce unique wines using nothing but the grapes and a small amount of sulphur! We attempt to produce wines to a style that we both enjoy drinking. Generally these wines are light, fresh, textured and well structured with high drinkability in mind. To achieve this we pick early and use very hands off winemaking techniques. Our reds are bright, vibrant and can be enjoyed young with a great balance between primary fruit, acidity and phenolics. Our whites express their aromatics and primary fruit, while showing mouthfeel, structure and texture.